to 30. Similar observations were apparent in non-remitters (table). Boire G, Carrier N, de Brum-Fernandes A, Liang P, Masetto A, Gui Y, Savill J, Michienzi S, Ménard H, Maksymowych W, Marotta A. In Early Undifferentiated Polyarthritis, 14-3-3η Seroreversion or Sustained Negativity Is Associated with Better Radiographic Outcomes, Even in DAS-28 Remitters [abstract]. Arthritis Rheumatol. 2015; 67 (suppl 10). 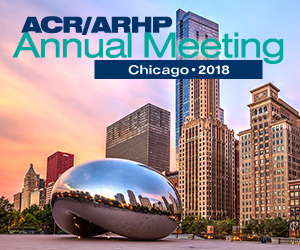 https://acrabstracts.org/abstract/in-early-undifferentiated-polyarthritis-14-3-3-seroreversion-or-sustained-negativity-is-associated-with-better-radiographic-outcomes-even-in-das-28-remitters/. Accessed April 20, 2019.